It’s a mysterious season – trick or treating, spooky costumes, the fall winds stirring up the leaves – but few things are more eerie this time of year than a shipwreck on Lake Superior. In November, the last of the hearty recreational boaters and fishermen take one last cruise on Lake Superior with their parkas buttoned up tight. These boats will soon be taken out of the water and stored for the cold winter months. But the commercial freighters keep moving the iron ore from port to port long into December. They will deliver as many loads as they can before the ice comes and puts an end to the shipping season for the year. Boating on Lake Superior, the largest freshwater lake by surface area in the world, even during the summer months, can turn treacherous quickly. Winds have been measured up to 65 knots and waves up to 30 feet. The average temperature of the lake is a bitter 40 degrees. To get a feel for what this might be like aboard a freighter, click to see a video here. Although the exact number of shipwrecks on Lake Superior is difficult to track, most historians mark it at about 6,000, although some say it could be upwards of 25,000. Just to the east of Pictured Rocks National Lakeshore, sits Whitefish Point, the site of the most famous shipwreck of Lake Superior. Whitefish Point, in fact, has seen more than its fair share of shipwrecks because of the strong winds that approach it from the north and the west. If a boat can make it around the tip of Whitefish Point, it will be safely in the harbor of Whitefish Bay, away from damaging winds. Many boats caught in adverse weather try to do just that. Some make it, and some don’t. This is the case for the S.S. Edmund Fitzgerald. In November of 1975, the 730-foot long freighter, carrying iron ore pellets from northern Wisconsin to Detroit, got caught in a storm. 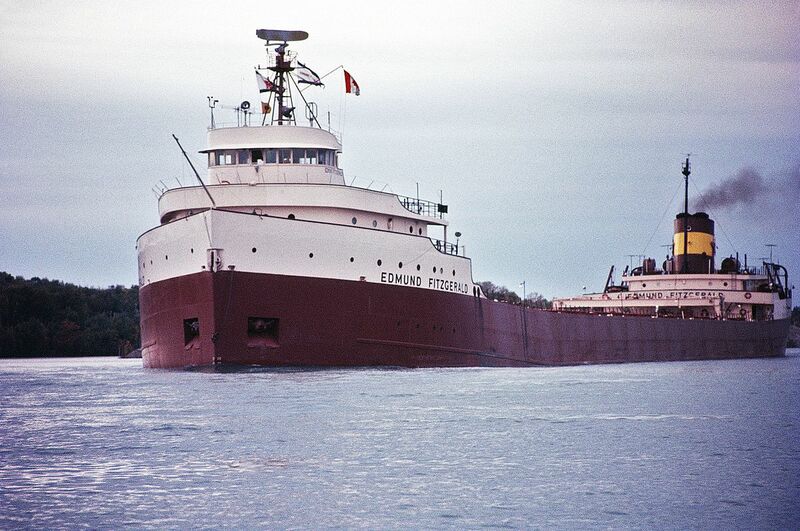 Just 17 miles off of Whitefish Point, the S.S. Edmund Fitzgerald sank, taking all of its 29 crew members with it. The exact cause of the wreck is unknown to this day and none of the bodies were ever recovered. 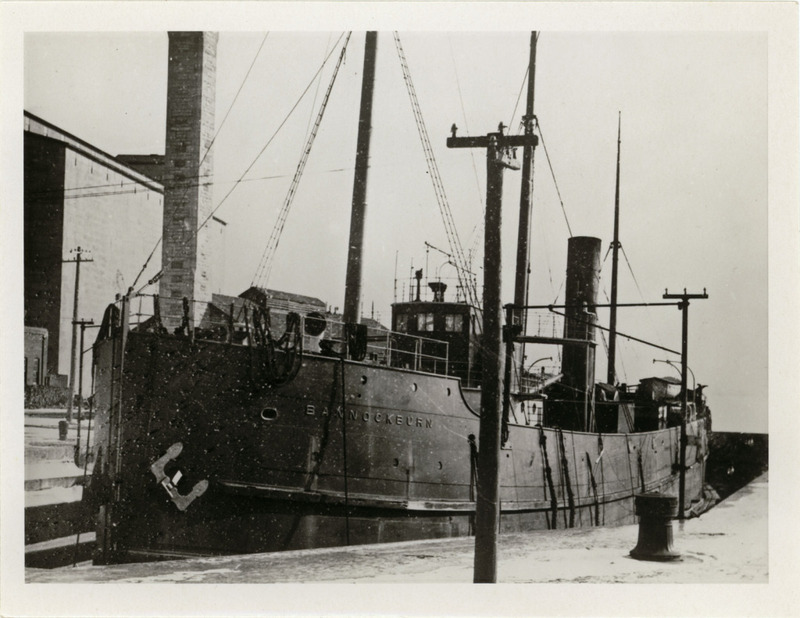 On November 21, 1902, a unique looking steel-hulled freighter, the S.S. Bannockburn, was carrying wheat from Port Arthur to Sault Ste. Marie. A winter storm was abrew, and the ship was last seen by another boat near the middle of Lake Superior around 11 pm that night. No trace of the ship was ever found, and all 21 men on board lost their lives. Many ships since that time, claim to have seen the S.S. Bannockburn sailing The Great Lake, recognizable by its unique profile. Some sailors say the S.S. Bannockburn guided their direction in stormy weather at sea. There are a couple of shipwrecks right in Munising Bay near Paddler’s Village that are easy to explore. Because Lake Superior is so cold, the water doesn’t support much nutrient-life and remains beautifully clear. You can see on average to depths of 27 feet and up to 75 feet at some spots! Come to Munising, MI and discover the eerie past of shipwrecks long ago.